What does R90 mean? Cheap and nasty motorcycle brakes are the quickest way to an accident no matter where or how you ride. EBC Brakes welcomes the new legislation on ECE R90 brake safety testing that shuts the door on unworthy parts. Until recently all EBC Brakes were tested by the notorious German TUV test centres. E391 is an asbestos free, organic, moulded friction material designed for use in heavy duty and off-highway motorcycle applications. 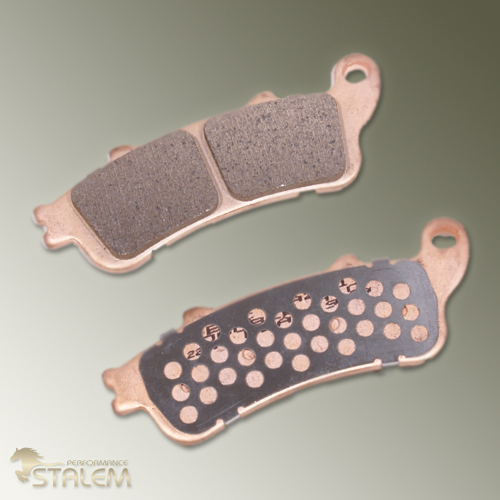 30% copper by weight added makes this a high copper pad close to sintered durability levels. It has a medium-high coefficient of friction (μ) which retains a highly effective braking performance over a wide range of operating temperatures. 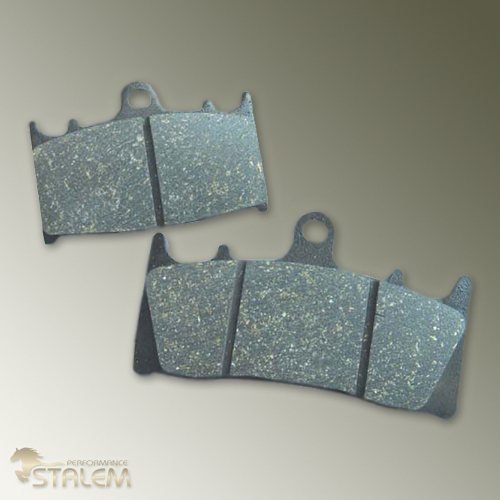 This material offers stable braking with minimal pad and rotor wear, and minimal dusting of wheels. Application Heavy duty long life organic material for heavier touring bikes. 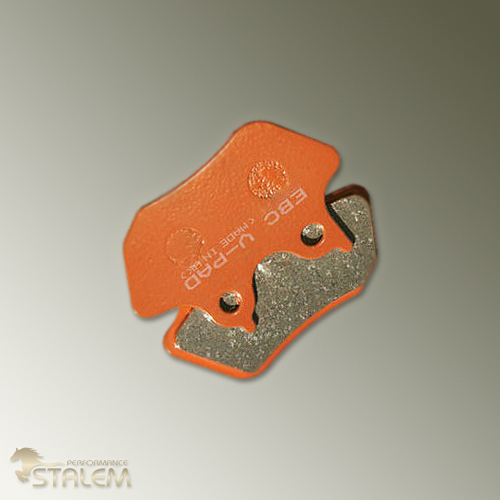 Being a semi-sintered pad containing 30% copper by weight, the V-pad combines the benefits of the “feel” of an organic pad plus the low heat generation and rotor galling features that organics have with the lifetime of a sintered pad. Wear Rate / Projected Street Miles – 0.75 grammes eq. to 42,800 miles. TÜV German Approved. Zero rotor galling, gentle on rotors. 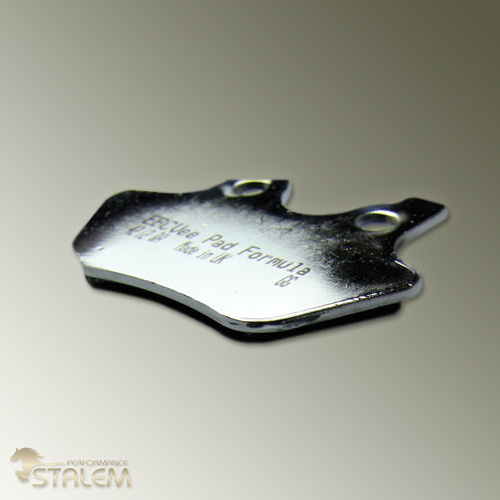 Using the exact same compound as Vee pads above, a limited range of pads for the cruiser market is now available with polished chrome backing plates. Bonding of friction material onto backing plates could not be achieved without the NUCAP of Canada NRS system featuring a hook pattern which EBC Brakes applies to its backing plates under licence from NUCAP.